Alice Cooper has slammed young rock bands for becoming ”really boring” and too ”afraid” to be themselves in contrast to their female counterparts such as Lady Gaga. 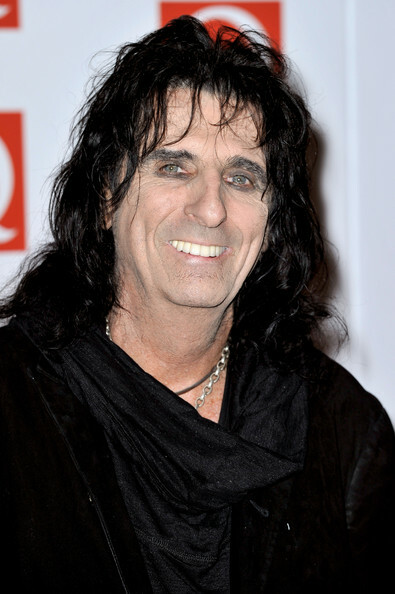 Alice Cooper has slammed young rock bands for becoming ”really boring”. The ‘Hey Stoopid’ singer hit out at modern male groups saying they are too sensitive and ”afraid” to be themselves, and he has been left particularly unimpressed by their stage shows in contrast to their female counterparts such as Lady Gaga. Speaking at Q magazine’s annual awards this afternoon (22.10.12), he told BANG Showbiz: ”The girls seem to be the only ones doing theatrics, the guys have taken a back seat when it comes to that, Lady Gaga and the others just seem to be more creative when it comes to the stage shows. The 64-year-old singer also hit out at the ”lumberjack” dress sense of rock bands today as well as their songs, which he believes should be made up of lyrics about girls rather than current affairs. Mormons are a religious and cultural group who believe in Jesus Christ and don’t drink alcohol or take illegal drugs.